Display the title at the top of the first page. When you're not using a title page, generally your name, the course name, professor or teacher's name and the due date are placed at the upper left hand corner of the first page. Below that should be your title centered. Your essay begins after skipping one line below the title. When using a separate title page, the title is the first information on the page and horizontally centered at about the top third of the page. Other title elements (your name, the course name, teacher's name and the due date...) may be double or single-spaced and may be either centered or left aligned in the final third of your title page. Use the standard margins of 1" on the top and bottom margins and 1.25" on the left and right margins. Double spaced text is standard in essay writing and provides room for your editor or teacher to circle or underline errors or add arrows connecting their comments to your text. Unless otherwise specified, essay text is left aligned. In cases where your essay is hand written instead of typed, it's "handy" to use a straight edge to keep vertical alignments at a 90-degree angle. Use a standard font such as "Times New Roman" size 12. Print your essay on only one side of paper. Use standard white paper (8.5" X 11"). Paragraphs are identified by an indentation of five spaces (a tab), do not make extra spaces between paragraphs. When used, a separate title page is not numbered. The first page of text is page 1 and may be numbered at the bottom center, in the upper right hand corner, or left unnumbered. Number subsequent pages in the upper right hand corner of each page. Page numbers should be numbers only. Abbreviations like "p. 3" or indicators like "page 2 of 5" are usually inappropriate for essays. If you have used outside sources to gain information on your essay, you need to include a works cited page of the sources you used at the end of your paper. The appropriate method of listing your sources depends on the type of publications (e.g. book, article, web page, etc.) you used in researching your topic. The format of the works cited page also varies according to the style of citation used within your text. 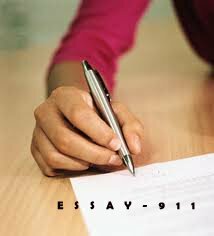 Tips for Formatting Essay Text 7.2 of 10 on the basis of 1654 Review.